Junior Seau, Rachel Ehmke, and Edvard Munch. . .
Every now and then there comes a day when it all gets piled on and you can’t help but think about the common threads that tie certain news stories together. Yesterday I heard about the death of a young NFL great, the death of a 13-year-old Minnesota teenager, and the record-breaking price brought by a well-known 1895 painting that captures something of the pain that must have been experienced by the subjects fo the prior two stories. 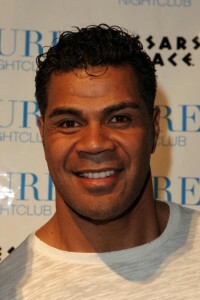 NFL great Junior Seau took his own life yesterday. And yesterday a friend emailed me a link to an obituary for a 13-year-old seventh grader who hung herself in her home last Sunday. 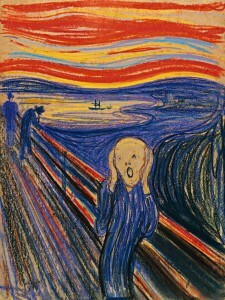 Then, at a New York City art auction yesterday, Edvard Munch’s famous painting, “The Scream,” sold for $120 million. A symbol of the emotional pain and agony that is part of human life in a busted and broken world, the painting serves as a reminder that life is not easy. All three of these stories caused me to pause and once again ponder that fine line between embracing life, and embracing a self-inflicted death that somehow becomes more attractive than the reality of a broken life. The story of 13-year-old Rachel Ehmke is especially gut-wrenching. Just give the news story embedded below a look. Then, read her obituary and the growing list of comments. Rachel was bullied. Sad. Very sad. I believe Rachel’s story is one worth talking about with kids. If you’re a youth worker or parent, invite the kids you know and love to read Rachel’s obituary, to watch her story, and to read through the comments. Then, talk about pain, brokenness, heartache, bullying, and anything else the kids want to discuss. I’m not one for easy responses and cliches when I encounter stuff like this. Life is very, very complex and hurt runs deep. 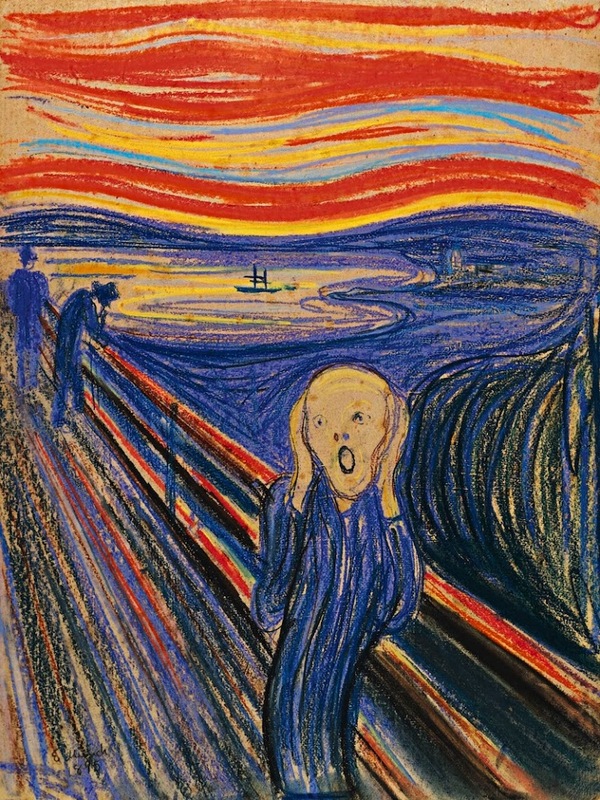 What I do know is that what the screaming man in Munch’s painting is screaming for is ultimate redemption. Yes, all creation groans. I also know that the source of that grace and mercy-filled redemption is Jesus Christ, the one who said, “Come to me, all who labor and are heavy laden, and I will give you rest” (Matthew 11:28). Today, we are reminded to pray for that redeeming rest to be realized. Thank you so much for posting this and giving Rachel a voice. It means so much to everyone in her family and community. 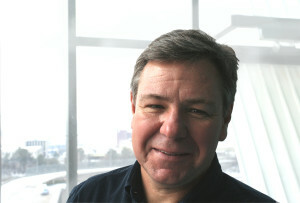 J. Boe. . . thanks. . . my friends Rich Van Pelt and Marv Penner have learned over years of crisis counseling that after a traumatic event, people need to tell their story. I can’t even begin to imagine what it must be like for these folks. Thanks for the story! I am originaly from Kasson, my family still lives there, in fact my family is good friends with Rachels family. I just hope they find the peace to heal from this tragedy. I can’t imagine the pain! Being a parent of a girl close to Rachel’s age who is also had her share of bullying, it hits close to home! I am reminded of our need to understand the complexity of depression. Just two days ago I received a copy of Richard Winters new book on depression from InterVarsity Press. Looks good and I’m starting it. I also recommend Martin Loyd-Jones book, “Spiritual Depression”, which I am reading again. 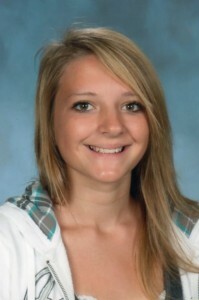 Rachel Dee Ehmke ,7th grader at Kasson-Mantorville Middle school…My best friend, gone.. I live in Kasson, the town right next to Mantorville. Me and Rachel were close friends, and it’s really hard without her here. we had so many memories together, like this HUGEEEE sharpie that we would snif in class and get in trouble for because it was a “drug” and the time when she did my science project for me. when we would fix our makeup in the middle of class, and text eachother when we were right next to eachother in class.